In 2012, the Amateur Box Office ticketing system had completed its second year of real-world trials, and now it is ready for you! During the trials we have further developed the system to ensure that it has all the features necessary to simplify the management work for box office managers. Time is precious! Keighley Musical Theatre Company (previous the Keighley Amateurs) was the first user of the system, and their unique requirements helped shape the system, making it flexible enough for the most demanding organisations. KMTC wanted to add on-line ticket sales to their outlets which also included sales at a local bookshop. In order to eliminate the need to take the tickets in the morning, and collect them the shop closing time, they simply issued “blocks” of tickets to each outlet. However this was not popular with the ticket buyers, as they wanted a better choice of seats. Naturally in the current climate, costs were an essential consideration, and not only did we ensure that any additional costs were kept to a minimum, we also made considerable savings on the cost of their show tickets. More importantly, we made significant savings in time and effort for the busy volunteers that manage the KMTC Box Office. The system provides live statistical information – great for the committee and marketing helpers to see the progress of each show. Whilst the box office manager now saves time ensuring that everything ties up at the end of each show. 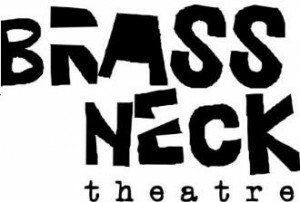 BrassNeck Theatre were formed from a recent merger of Stampede Theatre Company and The Grove & Rawdon Theatre Company. They have a loyal base of supporters that attend their three annual shows. BrassNeck wanted to retain their manually printed tickets, but add online sales to their outlets. They started using ABOL in 2013, and their customers are delighted with the system. Yeadon Charities Association began using ABOL in 2014 with their production of Cinderella. Yeadon Amateur Operatic & Dramatic Society began using ABOL in 2015 in time for their production of Little Shop of Horrors. We are delighted they are on board with ABOL.